Posted by HubTechInsider in Ecommerce. 1. Points.com generated oceans of irate customer service requests from our customers, many of whom reported to us that they either never received their points / miles, they were the victim of unexplained points reversals at the hands of Points.com, and / or their frequent flyer accounts were closed without explanation by Points.com. As the application’s administration interface is so rudimentary, basically only providing an interface which afforded us the opportunity to buy points from Points.com, our ability as a small Shopify merchant to keep up with returns, issues with the Points.com application itself or the points of integration between Points.com and our product database began to curtail our normal business customer service activities. Some examples of the types and number of these customer complaints are within the links below. Points.com provided no customer service liaison, no knowledge base, we were never assigned an account manager, and the ignored all of our emails requesting a merchant service manager contact at the company. We were told repeatedly that Points.com does not administer the loyalty programs they claim to power / represent on their logos and graphic files, which we found was extremely misleading to our customers, who were confused and came to us looking for assistance, which we, in many cases and quite frustratingly, were unable to provide. 2. One of the issues regarded with the most amount of trepidation by merchants, large and small, online and off, is the issue of what is known as “Passive spend”. This is where a consumer enters a merchant’s place of business, either online or offline, and completes a transaction. The passive spend occurs as the customer receives a loyalty reward, either in the form of points or miles — for a purchase they would have performed anyway. in other words, by participating in the Points.com program, as a merchant you are effectively discounting every single item in your store, sending a certain percentage of every sale to Points.com in the form of purchased points, many of which, or even most of which, the customers will never redeem. Many customers are not participants of the loyalty rewards programs in question and so they received a coupon code via email that they didn’t know what to do with. Points.com is like many of the points / miles awarding companies out there on the internet: they simply buy points from the airlines. United, Delta, American Airlines: they all sell points to anyone who cares to buy them. So Points.com, rather than speaking for the airlines, is simply a middleman, leveraging points arbitrage and counting on passive spend to boost their bottom line. The only problem? You need the merchants to drive the discount or award in the first place. The points awards come out of the merchants’ pockets. Points.com never even gave us one courtesy telephone call at any point during our business relationship with them. No matter what Points.com implies in their corporate advertising, make no mistake: this points industry is driven by merchants, and what the merchants giveth, the merchants can take away. And tshirtnow.net decided to pick up our playing chips and go home. 3. The Points.com integration with our eCommerce site, tshirtnow.net, (in continuous operation since 1994) was supposed to provide our customers, upon completion of their orders within our site, a redemption code that they could use with any of the participating loyalty programs. We performed a study using our CRM system which resulted in a report that showed a customer service inquiry regarding this coupon code every 1.3 completed transactions, which is an unacceptable rate of CS inquiries regarding an application whose singular purpose is to send our customers their redemption code. Keep in mind, the actual redemption of the points in question occurs after the customer has not only received the code via email from Points.com, but have entered it into their loyalty program’s customer portal. In other words, the sending of the code is but the tip of the iceberg of the customer’s interaction with their loyalty program, and in consideration of the above point #1, namely poor to nonexistent merchant support from Points.com, you can see that each completed transaction had the potential to create dozens of follow-on CS emails and telephone calls from irate customers, with a limited facility for our personnel to assist. 4. We were informed via email that upon an alleged annual program review of Points.com merchants, tshirtnow.net would no longer be able to participate in the Points.com program. No reasons for this were given, and it was unclear to us if this was one program / airline, or the entire Points.com program, or if this originated with Points.com iteslf. Based upon my experiences in the points / miles industry (http://www.linkedin.com/in/paulseibert1) , I was skeptical of this originating in some sort of annual review, not only because the calendar timing was odd for this, but also due to the fact that in my experiences, airlines and other loyalty programs opt merchants out on a case-by-case basis. This notice from Points.com had all the appearance of a retaliatory move by Points.com due to our requests for customer service and an account manager or merchant liason. We were however told that Points.com was working on a new product that would be oriented towards merchants like us. During this entire episode, we were still receiving system maintenance emails which had all the indications that we were still integrated, at least programmatically, with the Points.com program. Indeed, we are *still* receiving these emails. I may post some of the Points.com system maintenance bulletins here on HubTechInsider.com, however I think sight of even one or two of the myriad Points.com system failure notices would scare even the hardiest of entrepreneurs away from using their system. My repeated emails and telephone calls requesting clarification were ignored. 5. Points.com is an integration with our eCommerce site. We needed time to figure out where the integration code existed within our code base, and remove the code. There was markup on our front end UI pags that also had to be removed which dropped points.com tracking cookies, etc. This all took time, and the Points.com documentation was nonexistent. The developer that had integrated Points.com into the Tshirtnow.net web site, Mr. Steven Brown, passed away in Florida while on vacation and this event not only complicated the identification and removal of the code in question but brought all new development on our site to a halt as our entire development team attended the funeral services in Florida and the burial in Jamaica. Needless to say, our patience with Points.com’s nefarious business practices had worn thin even by the time we returned back to Boston only to be greeted by the highly threatening letter from Points.com’s corporate council, threatening every thing under the sun from copyright infringement lawsuits to multiple lawsuits from their individual participating airlines. I have worked with nearly every single one of their participating airlines on loyalty program integrations, and I know the chance of that happening is about the same as a snowball’s chance on the quad of the University of Alabama in July. We will sit here holding our collective breaths. I advise all eCommerce merchants to steer clear of this Points.com company. I am in receipt of your threatening emails and correspondence from your general counsel. I will remove the two graphic images from our web site. 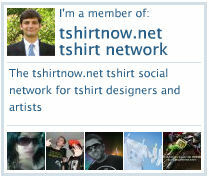 As you are aware, Tshirtnow.net is a former customer of Points.com. As a very small understaffed company, we have some difficulty at times in removing links, graphics, etc. – as undoubtedly do many of your Shopify merchants. Points.com is a large multinational corporation that is located outside the state boundaries of the Commonwealth of Massachusetts, and apparently has little experience or expertise in dealing with cottage industries such as Tshirtnow.net. I intend to publicize this bullying behavior of Points.com, and publicize it widely. Certainly we have the ability to review your behavior and the performance of the Points.com application multiple times in an extremely negative fashion via means of the Shopify (and other eCommerce platforms) marketplace, and I intend to reach out to my corporate contacts at Shopify and their developer and merchant advocates and marketplace Ombudsman directly in order to lodge a formal complaint against you and your company’s (“Points.com”) pejorative communications and business practices with regard to small Shopify merchants. It is the fervent belief of this longtime Shopify merchant that your large multinational corporation, Points.com, have misrepresented yourselves as a viable vendor to such eCommerce operations. Please forward to me the contact information of your corporate counsel so that they can receive the formal demand letter from our corporate counsel, whom have advised us that under the general laws of the Commonwealth of Massachusetts, our company has rights that will be vigorously defended in the litigation system of the Commonwealth. The judges and juries within the court system of Commonwealth of Massachusetts have a long history of defending small local businesses against the unfair business practices of large out-of-state multinational corporations such as Points.com. As entitled under the general laws of the Commonwealth of Massachusetts, consider this correspondence as our official demand for written enumeration of the reasons behinds the termination of our Points.com account, which was effected without any prior notice. Be aware that all information and communications between myself, our company and Points.com, shall be made public, as will all of your threats, written, electronic, verbal or otherwise. I have been in contact with several members of the online press and eCommerce review sites, and I have been asked to sit for a local television station so that they can interview me in order to review your Points.com application and present our side of the story. This television program and the resulting video file will be distributed worldwide and search engine optimized in such a way as to become heavily viewed on YouTube and easily discoverable when eCommerce vendors search for information about Points.com. I am also contacting the office of the Attorney General of the Commonwealth of Massachusetts in order to file a formal complaint against Points.com regarding your multinational corporation’s business practices within the Commonwealth of Massachusetts.